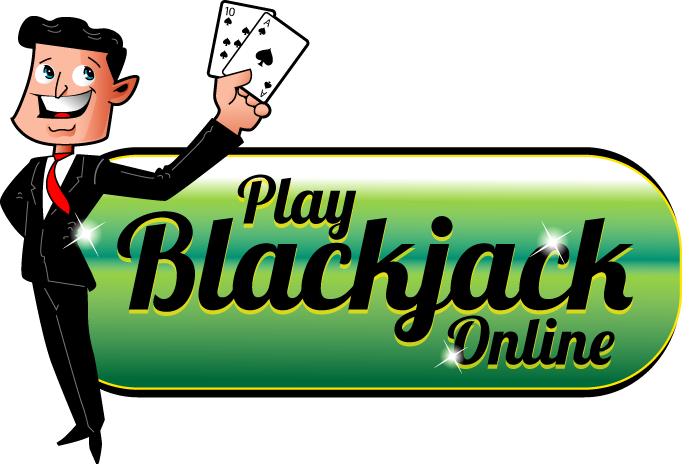 Welcome to the home of online blackjack in the UK! Playblackjackonline.co.uk is a new portal offering a wide range of free blackjack games as well as reviews and bonuses to the best casinos in the UK. Whether you are a beginner or pro you can always refer to our site for our useful strategy guides, our recently added training modules as well as reviews of the best casinos, software platforms and banking options. We also write about the latest industry news in our blog section, which you can subscribe to and stay updated. We do hope you find our site helpful and resourceful, the game starts here! £175 REAL CASH Welcome Bonus! New customers to BetVictor Casino, Games, Slots and Live Casino are eligible to receive a fantastic £175 REAL CASH Welcome Bonus! Basic principles of Blackjack. A step by step guide to the game. Contrary to what many people believe, blackjack is one of the simplest card games that anyone can play. If you, like everyone else, is looking for ways to learn and master the game of blackjack, then you have come to the right place. In our comprehensive strategy guide, we will lay out for you the basic rules and tips on how to play blackjack. The game of blackjack always starts with the players making their bets. At the beginning of the round, the dealer deals 2 cards to each of the players and to himself. Some casinos would have the player’s cards facing upside down while others are facing up. For the dealer’s hand, 1 card is shown face up (known as the dealer’s upcard), while the other 1 is shown face down (dealer’s downcard). Unlike the dealer, the players can decide whether to stand, hit, double down, split, or surrender. At each round, the dealer acts last. He can make a hit when the total of his card is 16 or less. He could also make a stand when he reached 17 up to 21. When it’s over 21, the dealer’s hand is busted. The players win when they beat the dealer’s cards without going beyond 21 or busting. Before we get into action, let’s take a closer look first on the following points below so as to get you more familiarized with the game. The player’s hand value is basically the total of all the cards he is holding. The numbered cards 2, 3, 4, 5, 6, 7, 8, 9, and 10, regardless of the suits, retain their respective face value. The kings, queens, and jacks, (which are known as face cards) are worth 10 points each. Aces count either 1 point or 11 points, depending on which value benefits the player. The term hard hand means that this hand has no ace on it. If it does, the ace is counted as 1 only. For example, a 9 and an 8, is a hard 17. A 10-A-2-4 is a hard 17 as well, with the ace counted as 1. Meanwhile, a soft hand is a hand that has an ace on the combination and is counted as 11. For instance, an ace plus a 6 is a soft 16; 4-2-A-3 is a soft 20; 9-A is another soft 20. Rule of the thumb: if you are dealt with an ace in your first two cards, count that ace as 11. Not all casino game tables are built the same, obviously. Each game has its own unique set-up. Even a particular casino game could have different kinds of layouts. Let’s take a look at a blackjack betting table. In a land-based casino, blackjack is often played on a semi-circular table that seats 4-7 players. It is covered with felt cloth with prints on the surface which contains all of the necessary information about the rules of the game. 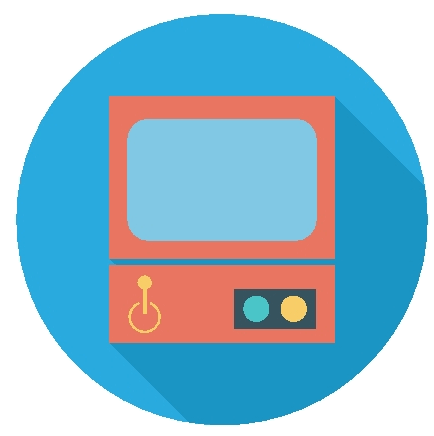 Towards the side of the player is printed a circle or a rectangular-shaped box. This is known as the betting spot and this is where players place their wagers using casino chips. A casino dealer is the one who deals the cards, collects the losing bets, and pays the winning bets. On his side is the chip rack and the decks of cards. Chips that are commonly used in casino games, including blackjack, are color-coded according to their respective denomination. You can also find the value imprinted on the face of the chip. Any casino player should be wary of the minimum and maximum betting limit per blackjack table. It is usually announced via a little placard. The dealer will also be happy to tell you about the limit. Some tables may require players to place at least £25 on their bets. It’s best for novice blackjack players to start on tables with low minimum waging requirement. As already mentioned, every player as well as the dealer receives 2 cards each. While one of the dealer’s cards should always be dealt face up and the other face down, it’s not often the case with the player’s hand. There are blackjack games where cards are dealt via a dealing shoe. This apparatus typically contains as much as 8 decks of cards. In shoe games, the cards of the players are dealt face up. It should be noted that in this type of game, players cannot handle their cards. In single- or double-deck blackjack games, the dealer deals by pitching the cards to the players. Their cards are both dealt face down on the table. This is called hand-held games. As the term suggests, players can handle their cards, but with one hand only and must always be done visibly above the blackjack table. With the two initial cards, chips, and bets already in place, it’s time to delve down on the challenging part of the game: decision making. This can be done in either 5 ways: hitting, standing, pair splitting, doubling down, and surrendering. To “hit” means the player wants another card to be added to his hand. This can be done in two ways depending on the kind of blackjack game you’re in. In shoe games, the player would only need to tap the table with a finger. Showing a beckoning motion can work as well to hint the dealer that you want to hit. In hand-held games, where your cards are handled by one of your hands, you just have to lightly scratch the edges of the cards on the table felt. To “stand” is to tell the dealer that you are already satisfied with the hand you’ve got. To signal that you want to stand with your cards in shoe games, you just have to wave your one hand over your cards, with the palm facing downwards. In hand-held games, you need to tuck your cards under the chips you placed in your betting box. There are times when a player receives a hand composed of two identically numbered cards, such as pair of 5’s, 9’s, Queens, or even aces. To split the cards means that you are playing two separate hands. Same rule applies: you can draw as many cards as you want for each of the hand. Since you have two distinct hands, you also need to make another bet that is equal to the first one. Casinos would often require players to play out to completion the first split hand on the right before moving on to the next. Again, there are several ways to signal the dealer that you’re up for pair splitting. Shoe games: the player places an identical amount of bet next to the initial bet. Hand-held games: the player tosses the two cards to the table face up. He then makes the second identical wager. Doubling down means you want to receive just one more card in your hand and you intend to double your bet. Different casinos apply different rules. There are casinos who only allow players to double down only after the player receives two hit cards. Regardless of the establishment, to tell your dealer that you want to double down in a shoe game, you just have to place an identical bet beside the original chip. In hand-held games, you toss your cards on the table facing upward, like in pair splitting, and then you make the secondary, identical bet. To “surrender” is when you opt to discontinue playing your hand on a particular round. When you do that, you get half of your original bet returned. There are two options to surrender. The first one is known as late surrender. Players make this type of surrender only after the dealer has checked on his hand and confirmed that he doesn’t have a blackjack (21). Otherwise, the dealer can offer surrender even before he checked his downcard or hole card. This is called early surrender. To make a surrender, the player needs to say directly to the dealer “surrender.” It can also be done by drawing an imaginary line from left to right on your side of the betting table. The surrender option is cancelled when the player draws a card. As also hinted, surrender won’t be available for the players when the dealer has a blackjack hand. Insurance – in the event that the dealer gets an upcard of an ace, he can ask the players at the table if they want to “take insurance.” This kind of side bet basically calls on the players to wager on the probability that the dealer’s downcard, or sometimes called, the “hole card” is a ten or a face card. To take insurance, players will put out half of their original bet. They can tell the dealer by placing their chips on the insurance line drawn in the blackjack table. If the dealer indeed gets a ten-value card, or a blackjack, the player wins 2-1 on his insurance bet. Now, if the hole is valued less than 10, the player loses his insurance wager; however, he still has the chance to win with his original bet, that is, if the dealer’s total is lesser than his hand. 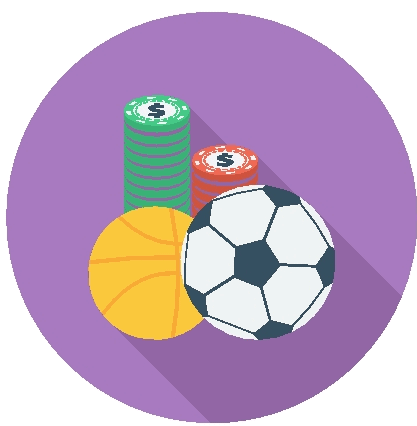 Even Money – another type of side bet which pretty much works like an insurance. The even money bet is offered to a player or players with a blackjack and the dealer himself has an ace upcard. 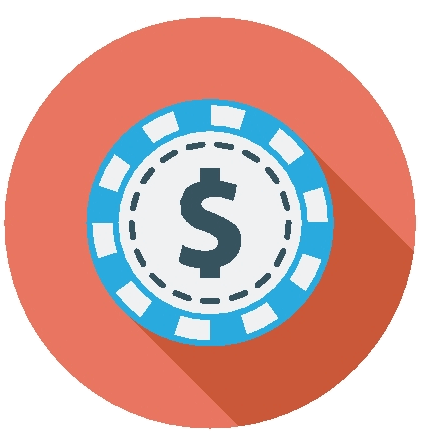 For the player to take an “even money,” he agrees to accept a 1:1 payout on his bet before the dealer gets to check his hole card. There’s more to mastering blackjack than having a deep understanding on the ways of the game. Knowing the customs of the game and how to execute the rules ensure a fulfilling and unforgettable blackjack gaming experience. Below is a list of some of the playing etiquette that any blackjack player should keep in mind. Do not hand money directly to the dealer. Cash transactions should always be visible by everyone and even to the security cameras of the casino establishment. To hand over your money, just place your cash on the layout, specifically outside of your betting spot. You will then tell the dealer the chip denomination you want for your cash to turn into. As said earlier, only in hand-held games where the player is allowed to touch their cards. Otherwise, in shoe games, the cards are dealt face up thus removing the need to handle the cards. Why is this so? It’s to eliminate the possibility that the cards will get marked or switched by the player. Also, laying out the cards on the table speeds up the game. The dealer can announce right away the total value of each of the player’s hand. Again, in single- or double-deck games where the cards are allowed to be handled by the players, they can only do so with one hand. Personal items like purses, wallets, or bags can be placed right next to the player. 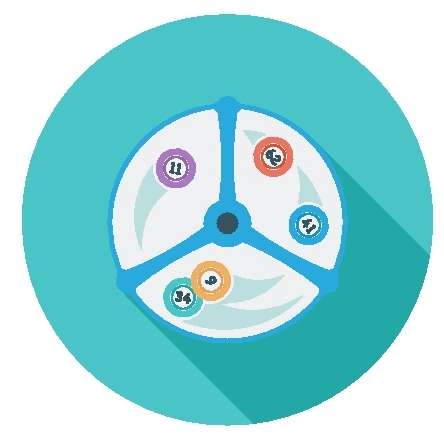 Drinks can also be brought to the table but don’t forget to place it on coasters provided by the establishment so as to prevent any spillage on the felt layout. We painstakingly emphasized the appropriate hand signals to use on each of the playing option. This is important because casinos are keen towards the observance of such protocols. Should hand gestures do not match with how you intend to play, the establishment may have the reason to suspect that you are cheating and they might advise you to discontinue playing on the table. The chips you put on your betting area must remain untouched until the round closes. When it comes to wagering different denomination, always follow the norm: higher denomination at the bottom of the stack. A game of blackjack should permeate a friendly and entertaining atmosphere, not only for you but also for the other players at the table as well. One big mistake is for the player to take on his streak of bad luck on the dealer or his fellow players. Casinos are just but a game of chance and bad luck can happen to any blackjack players. Giving unsolicited advice on how the other person plays his hand is also a big no-no. It’s their money and they have all the right to decide for themselves. Unless, of course, the player directly asks for your opinion, then that’s the time to offer your two cents. The “No Mid-Shoe” entry policy is often a big question for some blackjack beginners. The rule forbids players to join a game when the round has already begun. They can only enter after the cards are shuffled. This often happens in high-limit tables and for some specific reasons. One of which is for casinos to ward off the so-called “table hoppers” or “wongers.” These people can be found hanging around outside the table and who are probably counting down the shoe. When they think the shoe would turn favourably for them, they enter the next round, usually with big bets. Another reason is that most blackjack players don’t want their flow to get disrupted. Seasoned card players favour a well-timed, and steady game pace. New participants may interrupt the action, especially if they just jump in and out at their own whims. Several casinos allow their patrons to smoke while playing, while others don’t. The situation depends on the jurisdictions a certain casino is under. If you are one of those who can’t live without taking a drag every minute or so, just be mindful of the people on the table by not blowing the smoke straight right at them. It’s too hard to pass up on free drink offers. Needless to say, the house wants you to loosen up and they can help you with it by giving you those drinks. However, binge drinking those tall glasses is just going way beyond what is expected. To avoid trouble at the table, it is strongly advised not to drink excessively. Showing gratuity to your dealer means that you appreciate their hard work. It doesn’t have to be that much. Sharing your happiness, especially when you’re hitting blackjacks or having a winning streaks, can go a long way for you and your croupier. A nickel or two won’t put a significant dent on your bank roll, after all. In a sea of many choices, one may find himself drowned with overwhelming options. Going inside a land-based or online casino is a similar thing. An ardent gambler, who is always on the look-out for good fortune and entertainment, might be confused on which casino game to play. Here, we lay out the logical reasons as to why you are better off with counting cards. For one, blackjack is not based on luck alone but rather, it leans more towards a skillful gambler. Dare we say that there’s a relatively bigger chance for you to win at a blackjack table than in a slot machine. Yes, you cannot deny the huge wins in slots but in this casino game, everything occurs in a random fashion and there’s nothing a player can do to influence the outcome. Blackjack, on the other hand, is a skill-based game such that it largely depends on what decision to make on your hand: stand, hit, double down, split, or surrender. You don’t just sit there watching the wheel, the dice, or the reels, and hope for the best. Blackjack is often branded as a game of counting cards. To illustrate the point, let’s look at this scenario. Suppose that on the first round, the four aces had been dealt. End of round 1. In round 2, do you think you could still bag a BJ (an ace + a 10-valued card)? Absolutely not. It’s because the ace, which is valued as 11 in this case, were already handed out in round 1. On a hindsight, a skilful blackjack player who knows to keep tabs on the composition of the cards dealt in the previous round can make a more logical adjustments on his next bet and playing strategy. Not to mention, he can also narrowly predict on what hand he’d likely to get. To wit, blackjack is a game that calls for skills and not just for your four-leaf clover. 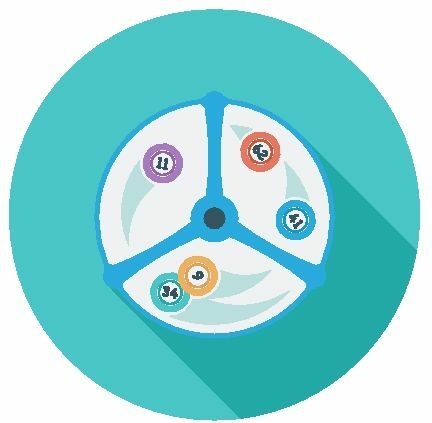 By knowing more about the game and to master its betting techniques, it is entirely plausible to turn the tide in your favor. Only in blackjack where you can literally cut down the house’s edge against you to near zero percent. Unlike in other casino games where the expression “the house always wins” always apply, in blackjack, a player can have a slight edge against the dealer. How? 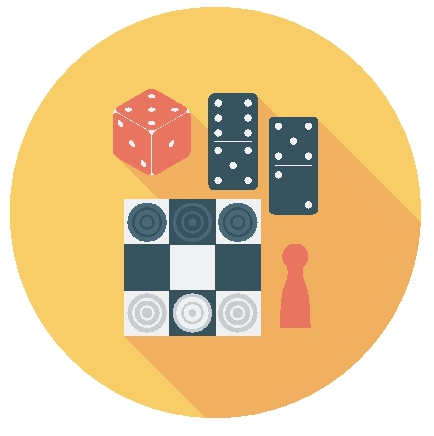 Simply by learning a simple playing strategy which we will reveal to you later on. But let’s not get ahead of ourselves here. Let us first understand the casino edge in blackjack. We already said it above and we will say it again: blackjack is more of a game of skill rather than a game of chance. Craps, roulette, baccarat are games played in what is termed as “independent trial processes.” This is just the mathematician’s way of saying that the occurring events in a previous round has no direct bearing on the present outcome. Take for example, an American roulette game. An average roulette wheel has 36 numbers, a single zero, and a double zero. If your favourite number 17 has come up 5 times in a row, what are the odds that in the next spin the ball will land in the same pocket? 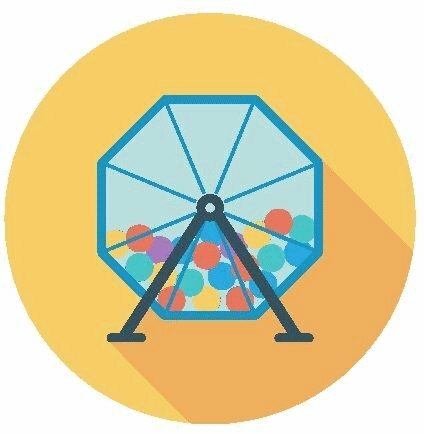 It could be 5 times, 10 times, or 20 times in a row, the probability of you getting a 17 in the next spin will always be 1 in 38 or 2.63%. Blackjack, on the other hand, operates in what is technically termed as “dependent trial processes.” As we have just explained, the odds change after every round. And if you are the type of blackjack player who knows exactly what he is doing, then it’s quite possible for you to succeed in every hand. You make a £5 bet on your 10-7 and the dealer has an upcard of 7. You make a stand. The dealer turns his hole card and it turns out to be a queen. You both have 17. In blackjack, this is known as a “push.” Push is a circumstance wherein you neither win nor lose your bet. You move on to the next round. Again, you placed a nickel on your betting spot. You are then dealt with a 10-5. You choose to draw and the dealer gives you a 7. Your total is 22 and you’re busted. Interestingly, the dealer also ends up with a 22. You both are busted, obviously. So is this a push? Unfortunately, no. Unlike the 17 vs 17 tie up where you get to keep your bet, this time, your £5 makes a trip to the dealer’s chip rack. The said situation is called a “double-bust” rule and this is exactly where the house edge in blackjack is based on. If you come to think of it, the rule makes sense because the player is the one who draws first and if his hand exceeds 21, it makes him the first to lose against the dealer even if the latter subsequently gets a bust. You might ask, how often would this occur? You see, there’s a 28.3% chance for each of the player and dealer to bust. If both plays in the same manner (0.283 x 0.283 = 0.08), the odds are favourable on the dealer 8% of the time. A 3 to 2 payoff that the player receives if he gets a blackjack. The dealer don’t have this. A flexible playing option. Given the situation, a player can either call a hit or stand. The dealer, on his part, can only do hit when his hand is below 16 or make a stand when the total is 17 or more. The option to double down on a bet. 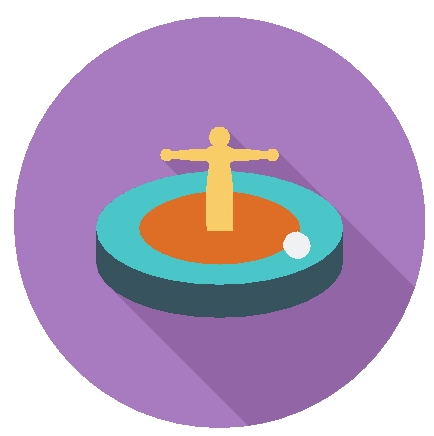 When the odds are on his favour a player can double his wager to get more money from a particular round. The option to split pairs. Players can split their pairs which can further improve his chances of winning against the dealer. Taking insurance. With the dealer getting an ace upcard, the player can still make the best out of this situation by taking insurance. This is not available for the dealer. The offer for surrender. Some tables can offer a player with a poor hand to surrender. This forfeits only one half of his bet. The dealer, on the other hand, don’t have this option. 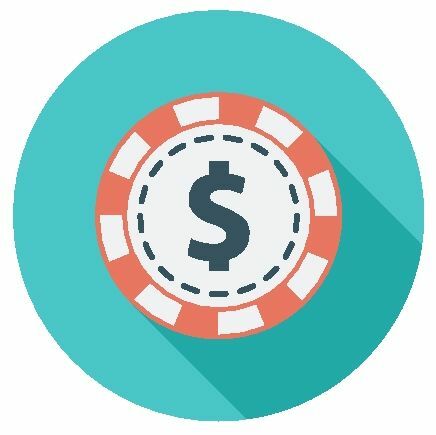 Aside from the apparent advantages of the part of the player, there are other ways to increase your chance of beating the dealer and that is to decrease the casino edge. A bonus payout of 3 to 2 can certainly put a smile on anyone’s faces. All they need to do is cross their fingers and be dealt with a “natural” (or a blackjack). To boot, getting a 21 isn’t that hard as many beginners would think. In fact, a blackjack occurs once in every 21 hands. Based on this math, this shaves 2.3% off of the original 8% edge. This now leaves the house a 5.7% edge. Knowing when to properly hit or stand can decrease yet another 3.5% off the casino’s advantage, leaving the house a 2.2% edge. If you really intend to strip the casino more of its advantage, then you are welcomed to do so. Just make sure to know the right strategies of when to double down. If you do, you can whittle yet another 1.6% off the remaining 2.2%, which leaves the house a meagre 0.6% edge. Still not satisfied? Then add to your blackjack playing arsenal the correct pair splitting strategy and you can get off another 0.4%. In the end, the house now has 0.2% advantage. However, this staggering cumulative decrease of house advantage won’t be possible if the player doesn’t know an inkling about the blackjack basic strategy. Basic strategy is a product of millions upon millions of blackjack play simulations and it was first run by Julian Braun using an IBM computer. At its very core, the simulation looks upon the mathematical probability of beating the dealer as well as improving a hand by using appropriate playing strategy. Players today learned about the basic strategy through a chart. The information basically tells the player the option to take (hit, split, double-down, surrender) given a specific hand as well as the dealer’s upcard. We will know more about this very important blackjack playing tool as well as the proper way to use it later on. For now, let just put into mind that there’s a mathematically-proven way to decrease the house edge to as little as half of a percent. As someone new to the game of blackjack, you might often hear players using terms, slangs, or words that you can’t just wrap your heads around with. It’s ok. As a solution, we’ve created this blackjack glossary that you can use as a reference when you come across with words you are quite unfamiliar with. Otherwise, if you’re already deep in the game and you just want to improve your blackjack vocabulary, enjoy this list of terms. Anchor Player – sometimes called the Anchorman, is the last player to act in a multi-seated blackjack table. He sits in the last seat, on the dealer’s far right. Back Counting – is a technique wherein a player is just hovering around at a particular blackjack table while counting the cards. His purpose is to determine the most favourable moment for him to join. 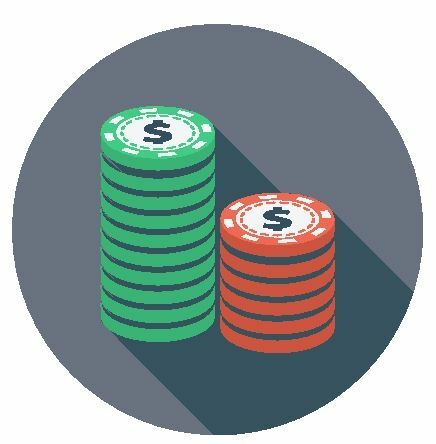 Barring a Player / Backed Off – this is when a casino refuses a player to play in a blackjack game for reasons, like for example, back counting. Cut Card – a special card that a player inserts into a newly-shuffled cards to help the dealer determine where to cut the decks. Once the cut card appears, the cards are once again reshuffled. Elimination Tournament – is a blackjack tournament where players with the most chips or the amount reaching the minimum, will advance to the next round of the tournament. Players who didn’t make it to the cut are eliminated from the tournament. Entry-Level Card Counting System – a card counting system that is simplified and usually used by blackjack beginners. Although effective to some degree, it has less power against the house edge than what a traditional card counting system has. Face-Down Game – otherwise known as hand-held games, is a blackjack game where the first two cards are dealt with the faces down. Players can handle the cards but only with one hand. Face-Up Game – otherwise known as shoe box games, is a blackjack game where the first two cards are dealt with the faces up. Players are not allowed to handle the cards. First Base – in a multi-seated blackjack table, this is the first seat facing the dealer’s left side. The player who sits here gets to act first. Martingale – a progressive betting system which makes the player to bet twice to a previously losing bet. When he wins, he reverts back to his initial bet.